Several bills that have been filed in the NH House of Representatives could have profound impacts on local land conservation and the work of Town Conservation Commissioners. 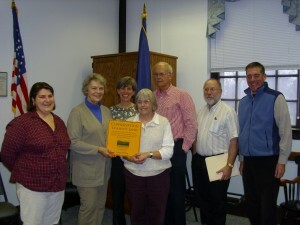 If passed, they would limit the ability of Conservation Commissions to manage town-owned conservation property, accept conservation gifts, or support any organization that conducts lobbying (this would prevent town Conservation Commissions from supporting the NH Association of Conservation Commissions and the Society for the Protection of NH Forests among others). Town voters could no longer choose to place any portion of current use penalties in their Town Conservation Funds, and Towns would be barred from selling or granting conservation easements on Town-owned land. Under existing NH laws, many Town Conservation Commissions have been very effective at initiating, promoting, and supporting land conservation projects to serve their Townâ€™s goals. Lebanon and Hanover have purchased property for Town ownership as natural areas. Cornish and Plainfield have used their Conservation Funds to provide the matching dollars required for major state and federal grants that purchased conservation easements on key properties including working farms. The small town of Bath also provided vital matching funds in an effort that conserved a mile of Connecticut River frontage at the “Narrows.” Hanover, Lyme, Plainfield, Unity, and Orford have used their Conservation Funds to cover transaction costs for landowners who donate conservation easements that protect resources the Towns have prioritized. Orford, Grantham, and Lebanon have conserved Town-owned land to protect important natural resources and to help educate citizens about the process and tools of land conservation. Grantham and Lyme have used conservation transactions to satisfy state mitigation requirements for other Town improvements. 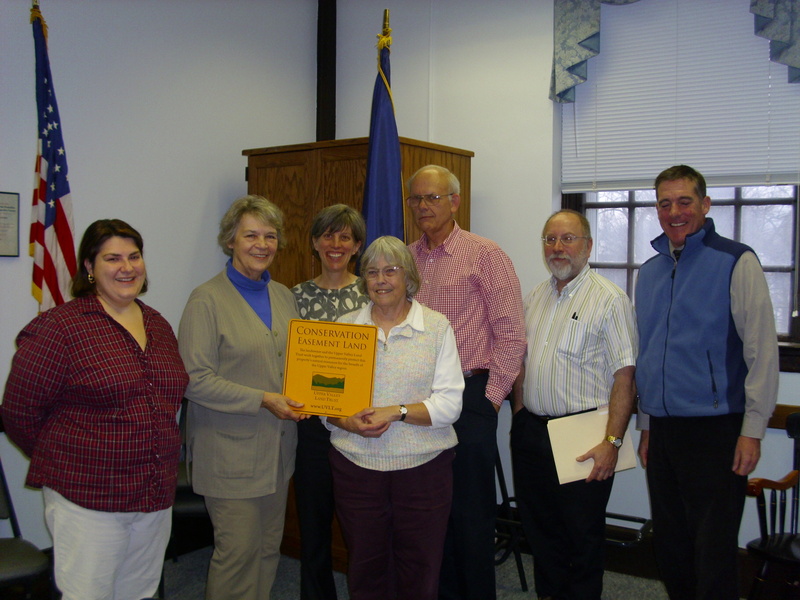 NH Conservation Commission members are volunteers appointed by the Town Select Board, or other governing body. Commissioners are charged with overseeing inventories and making recommendations for the protection of their townâ€™s important natural resources. Towns, and their Conservation Commissions, are vital partners in UVLTâ€™s mission to help people conserve the places that make the Upper Valley special. We believe the proposed legislation will limit local access to conservation opportunities and prevent Town leadership in conservation. Check www.NHACC.org for legislative updates. This bill removes the townâ€™s ability to send any land use change tax dollars to the conservation fund, and makes sweeping changes to Current Use Law. 2/8/12 – The full House voted for “Inexpedient to Legislate” on HB1515. It is now officially DEAD! This bill specifies that conservation commissions will no longer have the ability to convey interests in real property that they receive or acquire. This bill also limits conservation commission contracts to manage interests in real property to a term of 5 years. 2/14/12 – Committee recommendation for ‘Inexpedient to Legislate’. This bill adds complexity and the potential for significant delays to the process that towns must follow once they have chosen to acquire land or an interest in land for conservation. This bill appears to restrict a townâ€™s ability to be a member, or allow its Conservation Commission to be a member, of organizations such as the NH Association of Conservation Commissions. It met a very negative response. The above bills will all be considered by the House Municipal and County Government Committee. This bill creates law that says “no town shall sell or grant to any nonprofit organization a conservation easement on land owned by the town” thereby removing an option that currently exists for towns and conservation commissions with respect to municipal property. This bill was heard by the Resources, Recreation and Development Committee. It met a very negative response. 2/14/12 – The full House voted for “Inexpedient to Legislate” on HB1540. It is now officially DEAD! You may follow this link to check on the status of any one of these bills.